'This is the original Game of Thrones' George R.R. Martin The King is dead. Long live the King. Philip IV is dead and his great kingdom is in disarray. It seems the fatal curse of the Templars is plaguing the royal house of France. His son has been enthroned as Louis X; but with his disgraced wife Marguerite imprisoned in the Chateau Gaillard for her adultery, Louis can produce no heir with which to secure the succession. 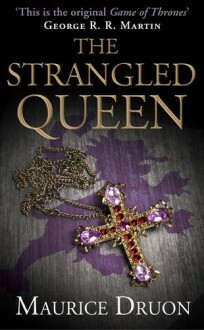 But neither can he marry again while she lives...The web of scandal, murder and intrigue that once wove itself around the court of the Iron King continues to draw in his descendants, as the destruction of his dynasty continues apace.